What Should You Do When Water In Your Private Well Runs Dry In Connecticut? Some homeowners in Connecticut have gone to great lengths to build their own water source that’s also drinkable. There are currently more than 300,000 private wells in the state and they serve 24% of its population. Since private wells in domestic households are not regulated by the EPA, owners are responsible for the quality of their own water source. 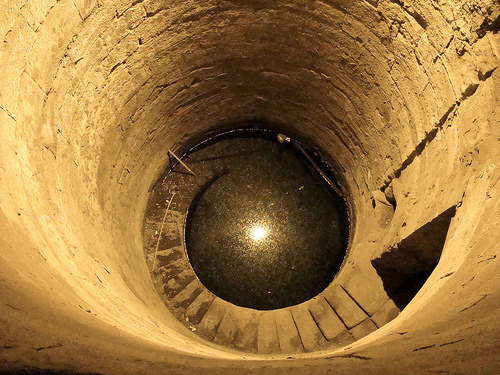 Unfortunately, some wells inevitably run dry in the presence of a drought. Usually, such problems are encountered every summer. On the other hand, your neighbors may not face the same problems as you did. Whatever the circumstances, you should know what are the right things to do during these dry seasons. How do I know whether my well is drying up? Weather trends from the past have showed that there has been an increase in the number of wells drying up during summer. You can also expect that water levels all across Connecticut to be at its lowest during dry winters and spring. If you hear weird sounds emanated by your water pump – mainly caused by bubbles when air is sucked up first – or frequent water outages, it is often a tell-tale sign that your well has difficulty keeping up with your demands for water. You can also rely on your sense of taste to determine whether the water levels in your well are low. Water that taste dirty and muddy, often means it is drying up. Before you commence your repairs, verify if the problem is a simple case of mineral buildup. Engage the assistance of a well technician to help you with the aforementioned. If there are no signs that indicate a mineral buildup, your well water pump might be damaged. Individual well components and parts are easy to replace and pinpointing specific problems can be friendlier to your pocket. Unfortunately, some wells completely dry up and there is nothing more that can be done. If neighboring properties have encountered the same problem, you may wait it out until rainfall returns to moisten the soil as well as replenish your well’s water bed. This may take place just a few inches under the existing bottom, thus you might need to dig deeper to reach the new water source. If nothing else works, consider getting a new well altogether. When will the existing conditions improved? Weather conditions are unpredictable and no one has a definite answer. However, if there are no signs of improvement in your area, relief can be expected in the middle of October. The transpiration and evaporation process from plants greatly decline during this time of the year. The less you use it, the less it is needed in the first place. You can try to cut down on the daily amount that is used to do your laundry, flush your toilets and cleaning up. Another neat trick requires you to evenly space out your water usage in timely intervals – lasting you the whole day without coming up short. If you plan to build a well in your home, don’t forget to apply for a valid well permit. Majority of licensed well builders can do that for you. The permit lasts you a lifetime and it does not need to be renewed. Talk to us if you want to learn more.